Wildfire smoke has travelled more than 4,000 kilometres and laid a haze over New Brunswick skies, but there's no risk of poor air quality, Environment Canada says. The weather agency issued a provincewide air quality statement on Friday afternoon saying smoke from fires in Western Canada is moving "at high altitude across the Maritimes, causing hazy skies and a reddish sun." The statement said the smoke is not expected to affect air quality in the region, since the haze will likely not reach ground level. The plume will move slowly off to the east tonight, the statement said. Wildfire evacuees struggle with accommodations, fear after being forced out of their homes in northern B.C. Wildfire claims 3 houses near Takysie Lake in Northern B.C. The smoke is travelling from fires in the central-northern corridor of British Columbia, where wildfires have been blazing for weeks. 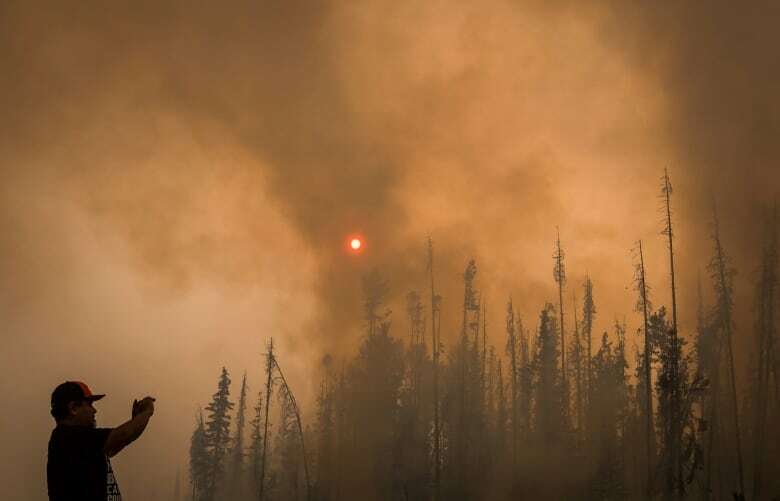 On Wednesday, the Muddy Lake, Lovell Creek South and Tahltan River fires merged with the Alkali Lake fire, creating a 100,000-hectare blaze. New Brunswick has sent about 20 firefighters to help fight the wildfires.